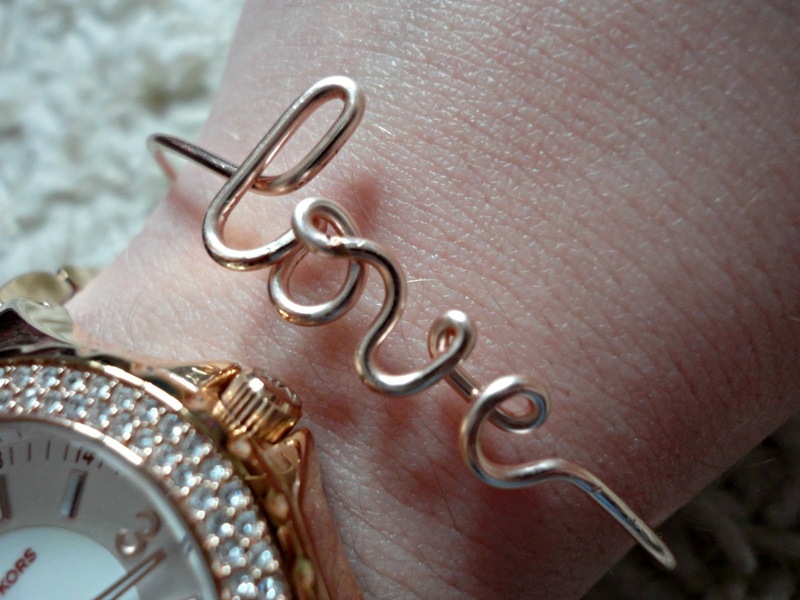 A few months ago when I saw Zoella's post on her 'yes' bracelet, I fell in love with the delicacy of the little rose gold bracelets and found myself checking out the seller's Etsy store. When I saw that they also made 'love' bracelets, I knew I had to get one for my birthday. As a lover of all things rom-com to the level that Ross & Rachel's relationship on Friends feels like real life to me, I knew this would be perfect for me. So, 3 weeks after ordering, a little package from California arrived and I instantly fell in love. The rose gold colour is beautiful (although gold & silver are also available) and it fits like a glove. It's also gorgeous next to my rose gold Michael Kors and I have to say it does make me happy when I look down and see them side by side. I think these make the perfect gift too, so check out the store here to see what else they do!